This is really for my personal reference. If it helps you, I’m glad. A couple of weeks ago, I wrote this tool (http://deco-planner.archisgore.com.) You can go read the history, motivation, etc. on that page and the github repo ad nauseum. NOTE: Why is this important/useful? 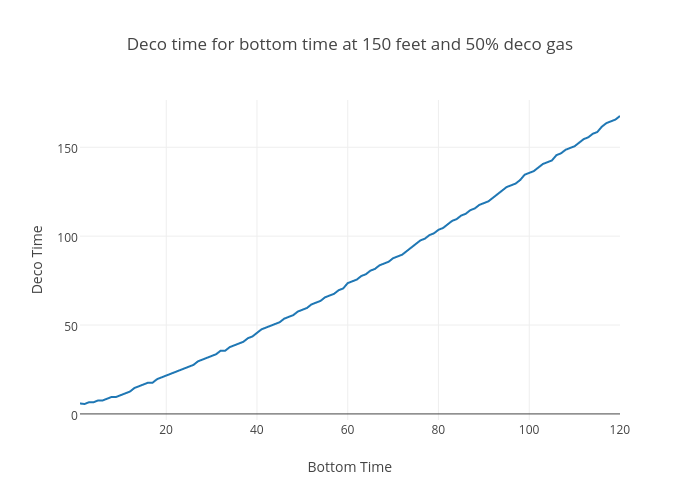 Don’t computers tell you how much deco you should do? Yes they do exactly that, and do it pretty well. 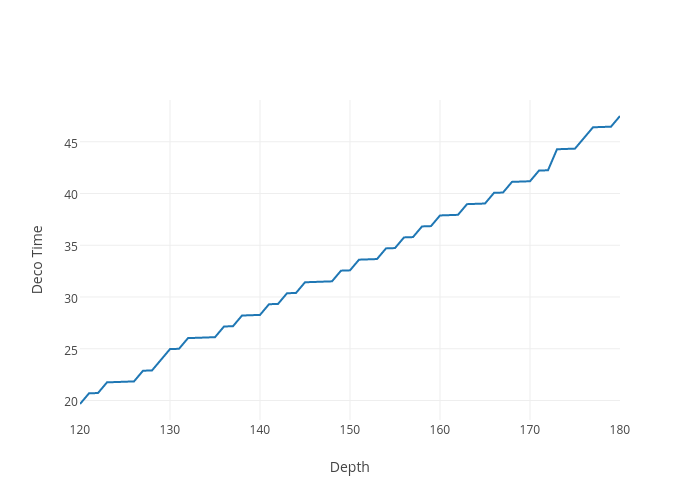 Now here’s what a computer won’t tell you – how much deco would you be looking at _if_ you extended the dive by 10 minutes? Let’s say that by extending it 10 minutes, or pushing it down by 10 feet more, your obligation jumps from 30 minutes to 50 minutes. That is objectively two-thirds more gas than you planned for. 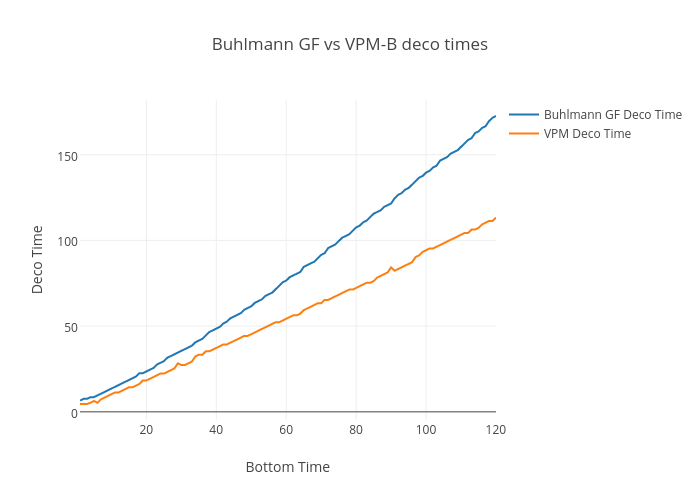 This tool/post is about understanding what those shapes are so you can decide, even if you had your computer telling you what your deco was, whether you’re going to like doing it or not. This post is about how to effectively use that tool with some pre-canned recipes to generate information cheap/easy than any other tool I know of or can think of. Let’s find the answer to that very question quickly. // bottom time), and store it in the array.